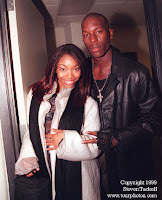 JuiicyScoop: Tyrese & Brandy a Couple?? it would hurt my feelings too! Brandy is cute but not attrative enough for Ty! Wont last! To state more, Check http://www.sweptfat.com since it's the site having truly pleasant subjects to study.Lots of thanks for info.